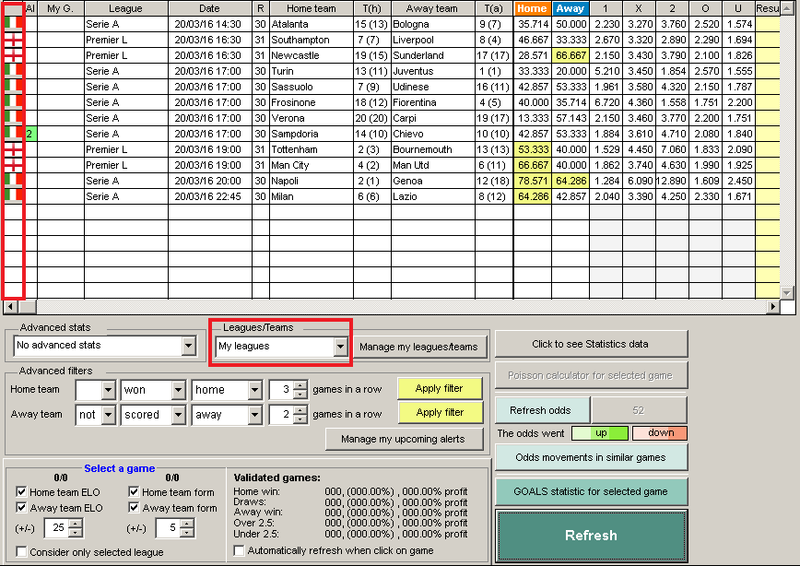 This is a very powerful feature that allows you to reduce the number of games listed on the main table. Especially on the week-end this feature is very useful. 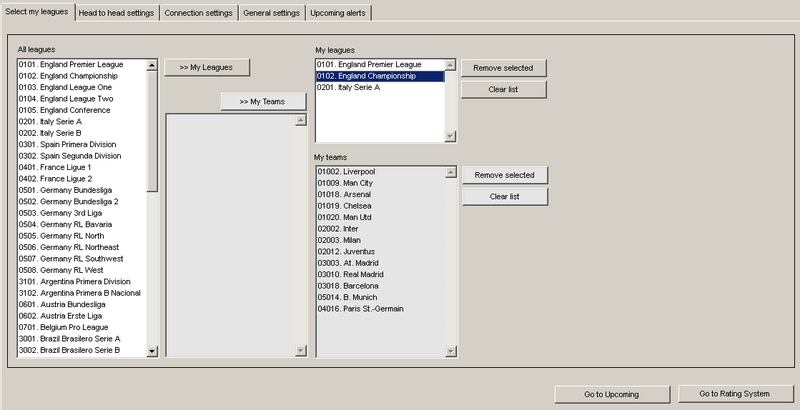 "My leagues" and "My teams" lists are managed on the SETINGS section of the software. You can see a preview bellow but you will find more details here (the link will be available soon). Please note that, after you manage your lists, you can return to the Upcoming section clicking the button "Go to Upcoming" on the bottom right corner. Copyright © 2016 by CGMBet. All Rights Reserved.